The same study showed that a well-crafted financial plan not only helps individuals retire with more confidence, it also helps them be better prepared for unexpected expenses, practice better spending habits, save more and manage their debt more effectively during all phases of life. So, why aren’t more people following this seemingly simple practice? The answers may boil down to three factors. Many Americans have difficulty imagining a life in which they don’t live from one paycheck to the next, and they don’t believe they have enough money to warrant having a financial plan in the first place. Sentiment and optimism vary among generations, however, and these disparities present opportunities for advisors to engage with their clients and address their objections head-on. Helping your clients — no matter how old — understand the importance of planning and consistently investing small amounts over time, and how those incremental steps result in growth, is key to overcoming the “I don’t have enough” mindset. Help establish a workable plan that fits into your client’s current budget. Even a small amount each month can help form a habit of investing and show returns over time. 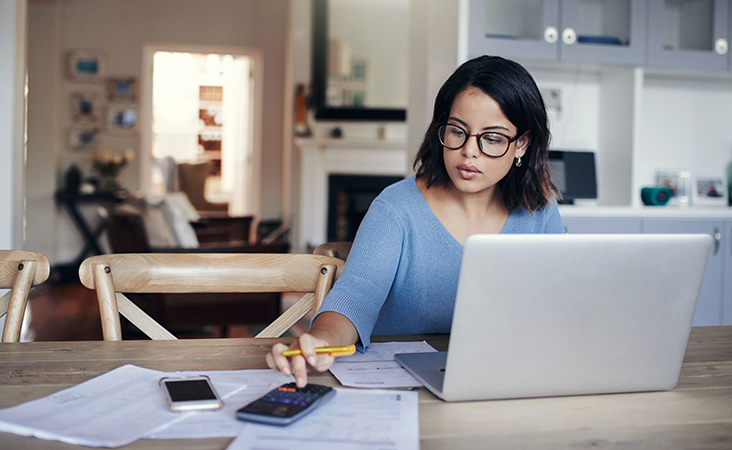 Another reason some people hold off on developing a written financial plan may involve uncertainty about the current financial and political climate, which can make trusting in the market a major hurdle for some clients. Current market volatility have many feeling uneasy, and lingering memories of the 2008 financial crisis are still prevalent. Continue to engage with clients on a personal level, be realistic about potential returns, and focus on their short- and long-term goals. While facts and figures inevitably need to be part of the conversation, start with a focus on building a strong client relationship that stresses transparency, honesty and trust. The sheer number of investment choices alone can cause anxiety among many investors. Often, clients have investments in multiple outlets ranging from an employer’s 401(k) to pensions, bank accounts, mutual funds, annuities, and the list goes on. Each has its own rules and regulations, may be managed by different entities, and is intended to address different financial needs and risks. Keeping them all straight and knowing which actions are needed to maximize their potential can overwhelm even savvy investors. While many aspects of investing are indeed complicated, the basic principles and core strategies don’t need to be. In general, avoid buzzwords, financial jargon and excessively complicated graphs, charts and statistical data. Some clients may be interested or engaged by this approach, but the majority of investors simply want to understand the core principles of investing so they can feel confident in the direction their plans are headed. It all comes down to getting to know your clients and what resonates with each. A cookie-cutter approach to explaining investment options will not get you very far in an age in which highly personalized service and tailored content dominates every other aspect of clients’ lives. Technology is playing an increasingly important role in simplifying the approach to investing. Be sure you also leverage online tools and make efforts to enhance your digital client experiences to get those goals down in writing — whether on a digital device or on paper — and help them get the ball rolling. One of the biggest regrets many investors have is not starting to build their portfolios sooner in life. You can help your clients avoid those same mistakes by building trust and developing a plan that focuses on a long-term strategy for growth. To help, we’ve developed a resource you can share with clients that outlines many of the risks associated with putting off investing. Access this complimentary resource today by clicking the link below.